(Natural News) Utahans who support health freedom – which constitute the majority of Utah voters, it turns out – watched a bill they passed last November that would have legalized medical cannabis throughout the Beehive State slip through their fingers into the dustbin of tyranny, thanks to the conniving interference of Utah’s Mormon-dominated legislature. Just one day after Proposition 2, the Medical Marijuana Initiative that Utah voters passed by a 53 percent margin, was set to be implemented, the Utah House of Representatives and Senate held a special session to completely scrap the bill – replacing it with a much more restrictive “Utah Medical Cannabis Act” that will make it virtually impossible for anyone living in Utah to realistically access legal medical cannabis. Even though overriding ballot initiatives that have been lawfully passed by voters is completely unconstitutional, the “Church,” with rubber-stamp approval from corrupt Utah Governor Gary Herbert, took it upon itself to do precisely that – patting itself on the back in the process, as if the Mormon religion somehow holds the ultimate authority to make medical decisions for all Utahans. “With the passage of the Utah Medical Cannabis Act, Utah now has the best-designed medical cannabis program in the country,” Gov. Herbert arrogantly proclaimed, insinuating that the Proposition 2 replacement contrived by The Church of Jesus Christ of Latter-Day Saints (LDS) in secret, and signed by himself into “law,” is somehow legitimate. It’s important to note that, before Proposition 2 was even voted on, Mormon leadership with deep pockets were already busy plotting a way to destroy it. An extensive list of LDS propaganda talking points published by MormonNewsroom.org back on May 11, 2018, reveals the extent to which the “Church,” with the help of its powerful legal lobby, schemed up a plan to annihilate Proposition 2 in the event that it passed. 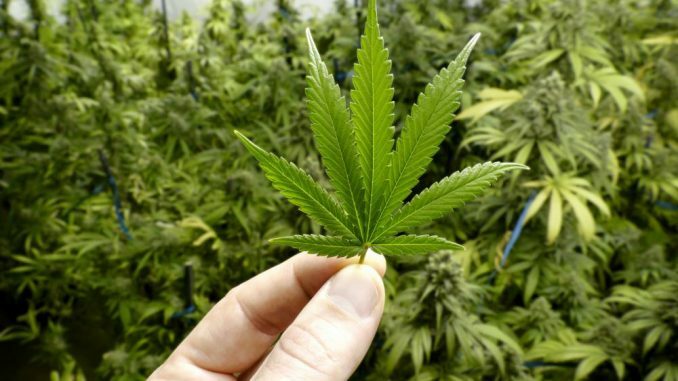 The LDS lobby also opposes Utahans with chronic pain being allowed to access medical cannabis at all, as chronic pain is “difficult to diagnose,” according to the “Church.” In other words, the Mormon-controlled legislature, law enforcement, and other state mechanisms of control in Utah crave much more power and control over medical cannabis use than Proposition 2 afforded them. In response to being legislatively assaulted in this manner by Utah politicians, a coalition of health freedom groups, led by former Salt Lake City Mayor Rocky Anderson, has filed a lawsuit in the 3rd District Court against the state legislature for scrapping this voter-passed initiative. Included in the lawsuit are the heads of both the Epilepsy Association of Utah (EAU) and Together for Responsible Use and Cannabis Education (TRUCE). “For three years, we advocated on the Hill,” Christine Stenquist, president of TRUCE, is quoted as saying by The Salt Lake Tribune, contending that the Utah Medical Cannabis Act, the LDS replacement for Proposition 2, violates Utah’s constitutional provisions for ballot initiative. “Let me get this straight. The conservative, anti-socialism Utah government will be in charge of the distribution of medicine?” jabbed one commenter at The Salt Lake Tribuneabout the hypocrisy of Proposition 2 being overridden by the Utah legislature. “Let all people know that dealing in the state of Utah or in any dealing with the LDS church, will be done by dishonest players from civic leaders, doctors, law enforcement, pharmacists, right up to the Governor,” soberly revealed another about the current state of politics in Utah. For more cannabis-related news, be sure to check out MarijuanaToday.news.